/INS. 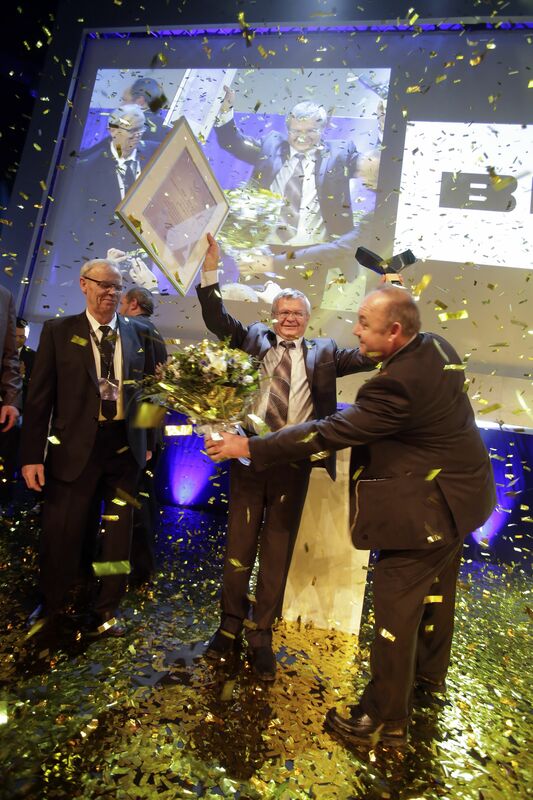 This year’s winner of the international Swedish Steel Prize is Belaz from Belarus. The prize was awarded for the company’s innovative and new construction for axle suspension and slewing bearings for the world’s largest dump truck. The new construction takes full advantage of the properties of high-strength steel. “Belaz has boldly gone beyond the boundaries of what has earlier been considered possible using available technology,” says Gregoire Parenty, Chairman of the jury and Executive Vice President and Head of Market Development SSAB. The current trend within mining and quarry operations across the world is that bigger is better. Demand is high, production must therefore be optimized. Using high-strength steel, the global mining dump truck manufacturer Belaz has created the world’s largest dump truck capable of 20 percent higher payload capacity than conventional trucks, whilst minimizing fuel consumption. “Belaz’s new design shows how high-strength steel can be used to make stronger, lighter and more sustainable products,” explains Parenty, who emphasises that it was a close competition between the finalists. 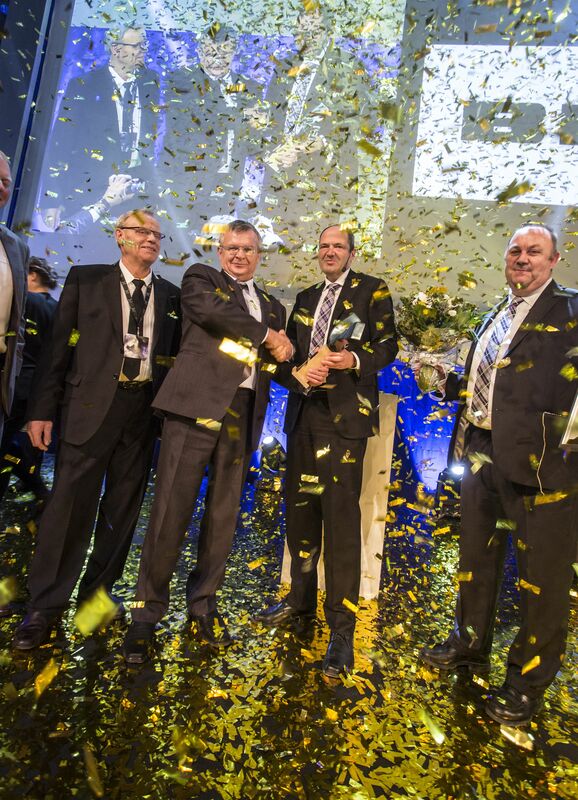 The Swedish Steel Prize was awarded for the 16th time in conjunction with a three-day event at which 800 participants from around the world gathered to share the latest findings on high-strength steel. The other finalists - Santander Equipos from Chile, Timo Penttimies from Finland and Vale from Brazil, were runners-up in the Swedish Steel Prize 2014. The Swedish Steel Prize was established by SSAB in 1999 to inspire and disseminate knowledge about high strength steel and how it can be used to develop stronger, lighter and more sustainable products. SSAB is a Nordic and US-based steel company. SSAB offers value added products and services developed in close cooperation with its customers to create a stronger, lighter and more sustainable world. SSAB has employees in over 50 countries. SSAB has production facilities in Sweden, Finland and the US. SSAB is listed on the NASDAQ OMX Nordic Exchange in Stockholm and has a secondary listing on the NASDAQ OMX in Helsinki.